Andy and I are both suitably inspired by the very cool Hobbit Movie.We haven't got to the REALLY (in a wargaming sense) good bits yet but we can see the wargaming possibilities. Azog/Bolg and the Orcs of Gundabad, the Undead Legions of Dol Goldur, the Men of Rhovanion, the Stout Dwarves, the Noldor (and Wood Elves, once we see how PJ does them). 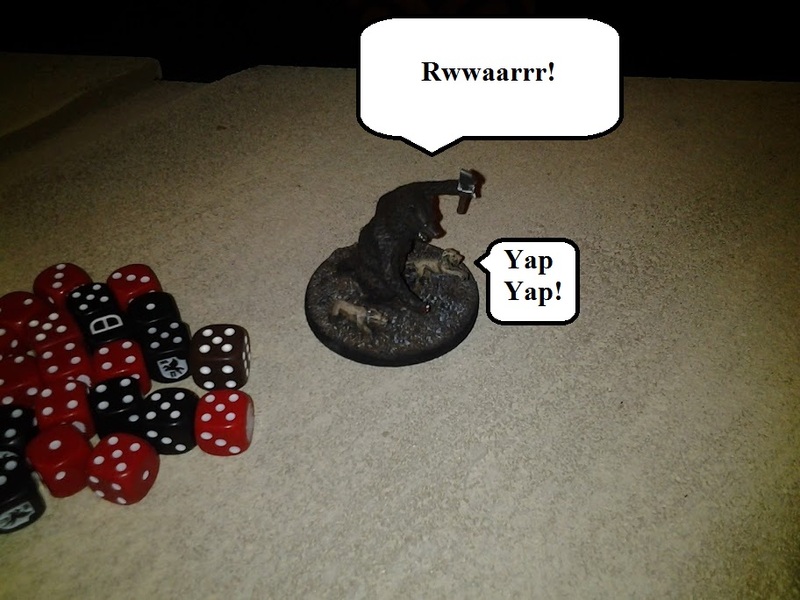 So I made up a couple of lists - Dol Goldur and Rhovanion, Andy gave some feedback and tweaks, and we had a 1200 game of WOTR to give them a try. Brothers of the glorious revolution against the Tyranny of the Valars' running dog lackeys, there is much progress in our great cause! 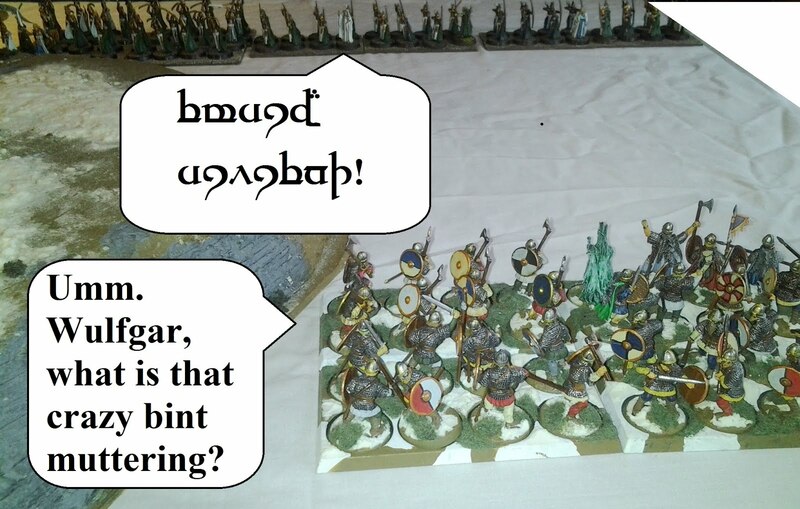 After thoroughly reforming the peaceful, hardworking, pastoralists of the Carn Dum plateau, the visionary Witch King has set out to raise a new force at the cool place he (or it is runmoured... his Dark Master) took from some of those slimey Elves. On the left were mercenaries from Esgaroth, then some wood-cutters with bows, the luckless Dwarven Mercenaries , then some more Woodsmen with bigger bows, more Mercenaries (this time on horses) and some more men provided by the wine merchants of Dorwinion.When we abolish private wealth throughout Middle-Earth, truly these pawns of the Valar will have no one to fight for them! Good to see WoTR still getting some love. Pity we have to wait so long for the new rules. Wait for new rules? Andy, Jason, and I already have new lists up and running Better late than never... 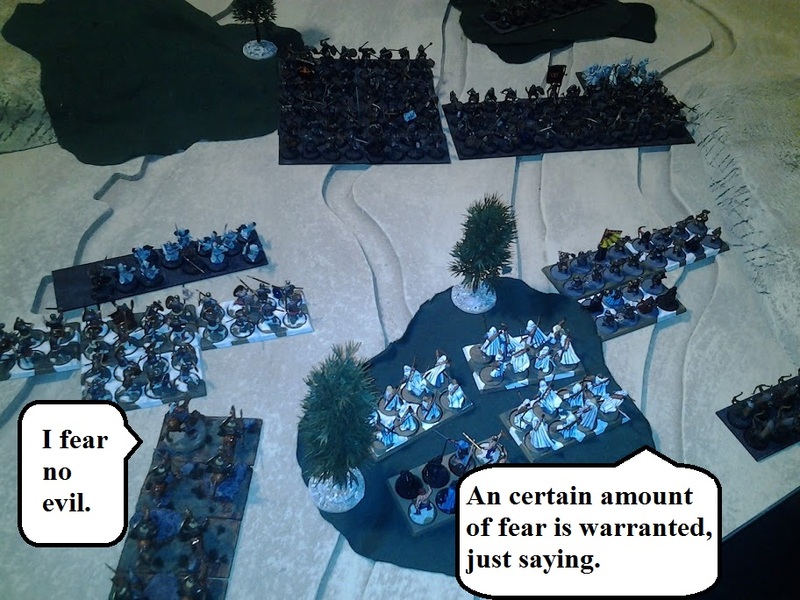 The second round in our in our 'War of the North' set of WOTR battles saw Angmar up against our new Noldor Army list. 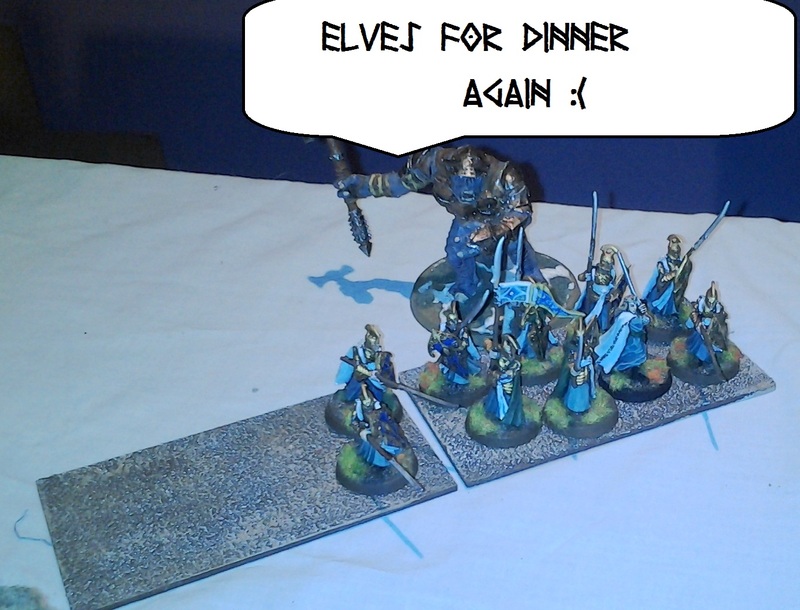 Was this to be another Convincing Carn Dum victory over the Elves?